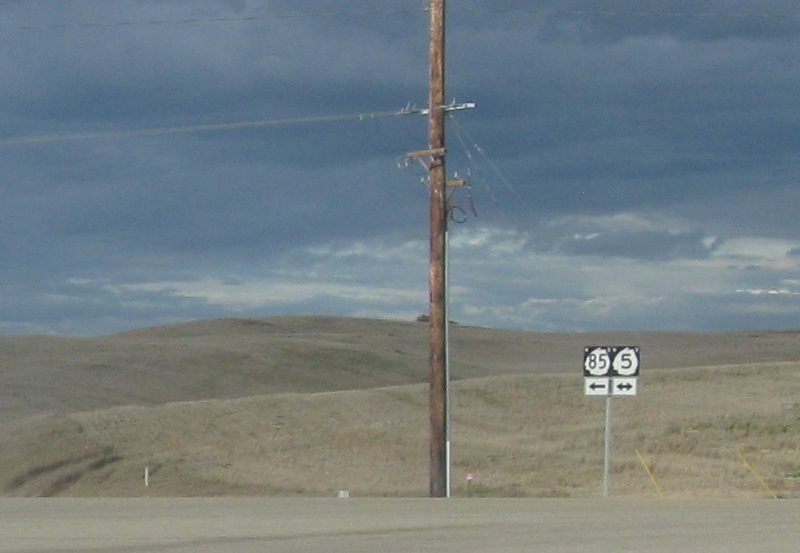 Reassurance shield after the ND-50 junction. 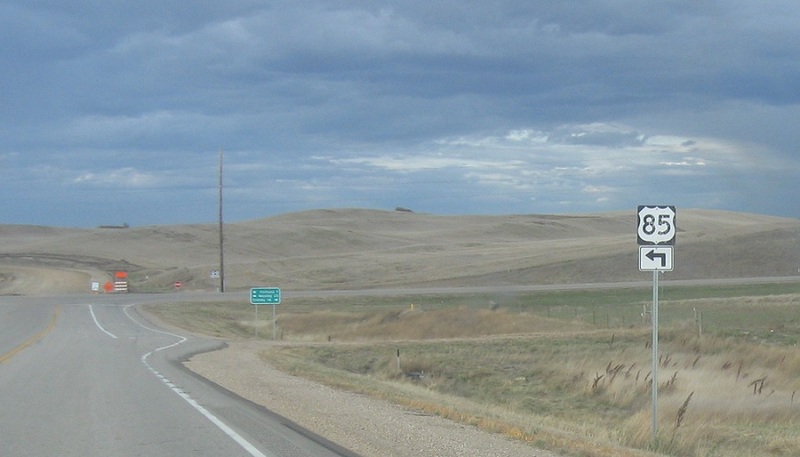 As we enter Divide County, turn right for CR 14. A few miles later, we’ll approach North Dakota 5 and the Soo Line corridor. 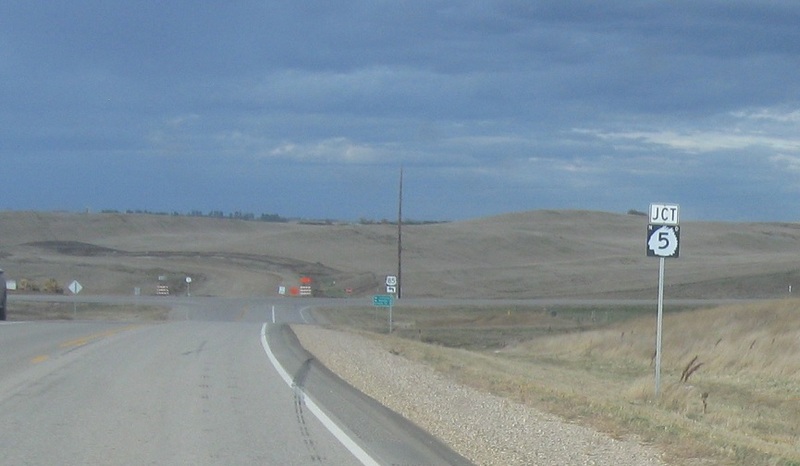 US-85 north joins ND-5 west into Fortuna. 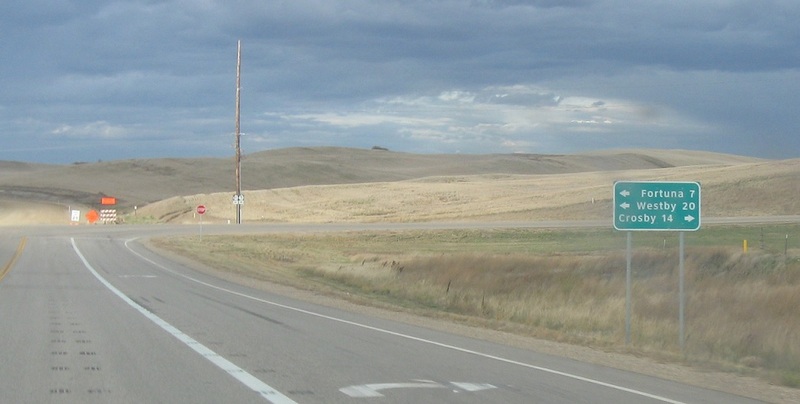 Follow 85 north and 5 west to Fortuna and Westby, Mont. Take 5 east to Crosby. Error ND-85 shield as the routes join.